Island Networks has been awarded NetApp Gold Partner of the Year 2014. 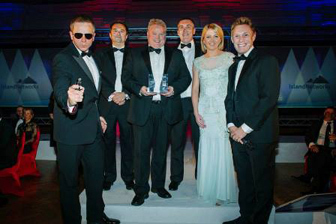 NetApp announced the winners of its prestigious United Kingdom & Ireland Partner Awards to a capacity crowd at the Royal Horticultural Halls in London on Thursday 24th April. Island Networks was the only Irish company among the winners of these prestigious awards. “We are delighted to publicly recognise the outstanding achievements of Island Networks in winning this prestigious award. Their depth of skills combined with their relentless customer focus has led to high levels of customer satisfaction and strong business growth, making them worthy winners. NetApp creates innovative storage and data management solutions that deliver outstanding cost efficiency and accelerate business breakthroughs. Our commitment to living our core values and consistently being recognised as a great place to work around the world are fundamental to our long-term growth and success, as well as the success of our pathway partners and customers.